Lost in Space is a science fiction television series created and produced by Irwin Allen which ran from 1965 to 1968 producing 83 episodes and cementing a place in American television history. The show follows the adventures of the Robinson family, Dr. Zachary Smith and a the B9 Class M-3 General Utility Non-Theorizing Environmental Control Robot or just Robot for short. 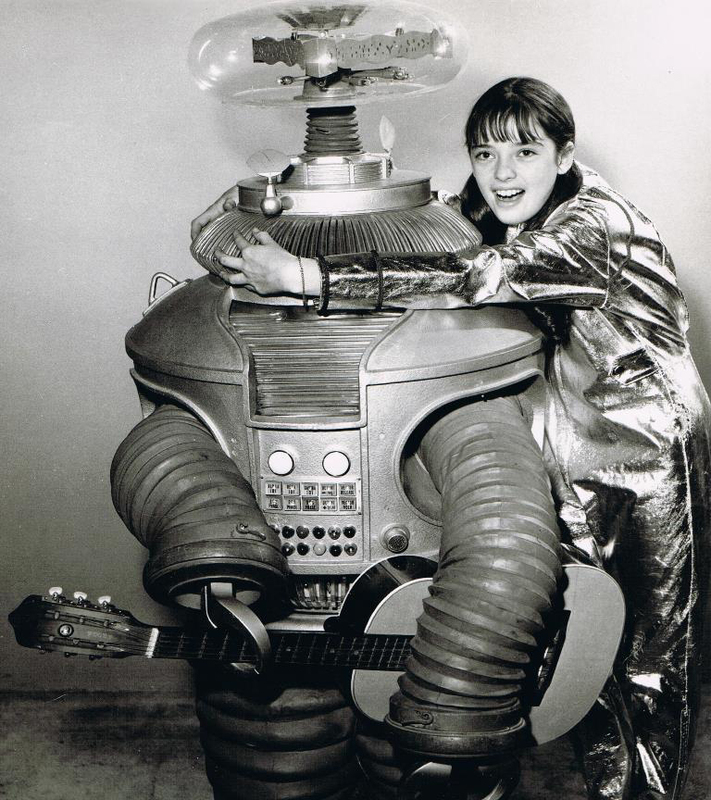 The Robot was added to the cast after the airing of the pilot episode on the suggestion of CBS executives, design work began immediately which fell to acclaimed designer Bob Kinoshita who was also responsible for the design of Robby the Robot from Forbidden Planet. 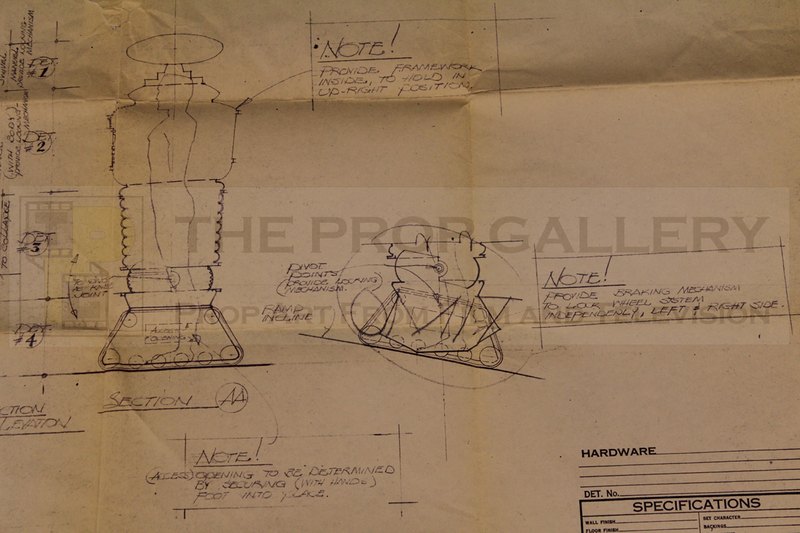 From Kinoshita's design two full size Robots were created for filming, a hero robot costume which was worn by actor Bob May and another static prop which was designed to be towed around rather than worn for stunt shots. 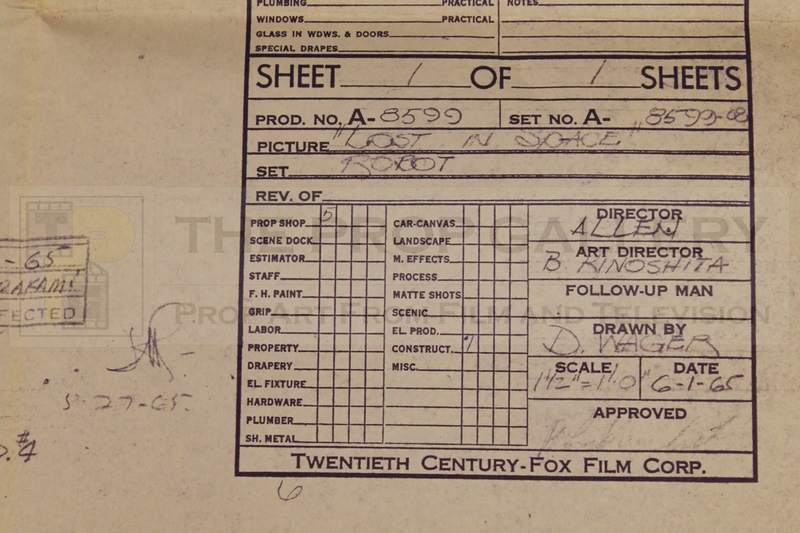 The construction fell to 20th Century Fox prop maker Robert H Stuard, known professionally as Bob Stewart and the builder of the original Robot, he was also responsible for much of the design work in making the hero Robot costume wearable and as comfortable as possible for the actor, liaising with art director Kinoshita. 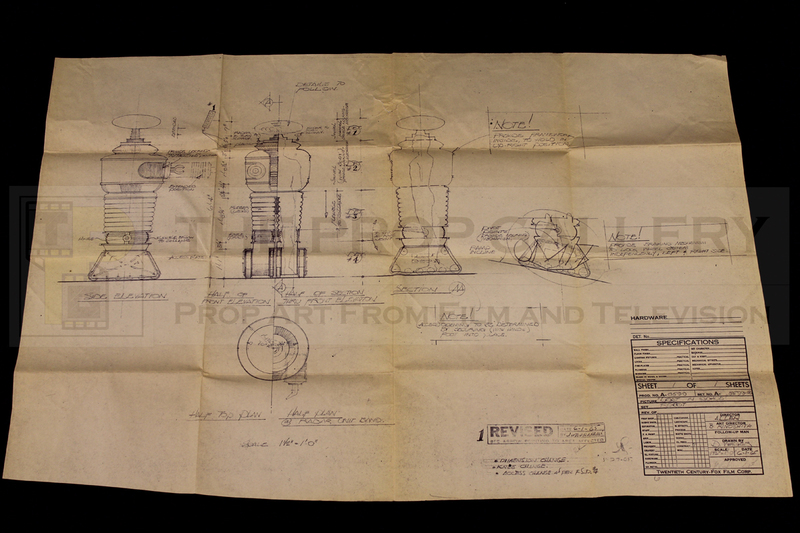 It is from the very plans showcased here that Bob Stewart constructed the original Robot props almost 50 years ago, dated 6-1-65 and drawn to a scale of 1.5":1', they consist of five different elevations including a cutaway sketch showing the operator inside the costume and show in meticulous detail the workings of the costume with various notes relating to the build techniques. An accompanying letter from Mr Stewart's son states that much of his preliminary design work was sketched on the wall in his parents bathroom, amazing where inspiration can strike! 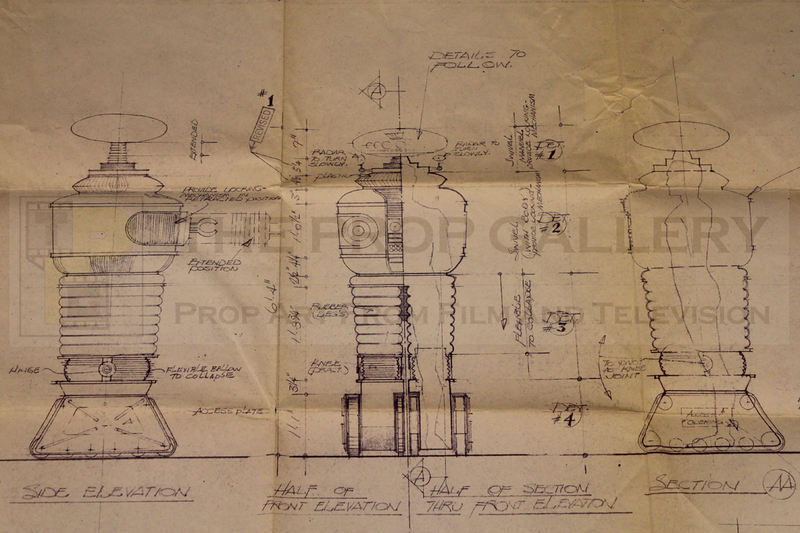 These plans represent an important part in the history of a Robot which has went on to become one of the biggest stars in American television history and an icon of popular culture throughout the world.